The Okinawa Autotech Pvt. 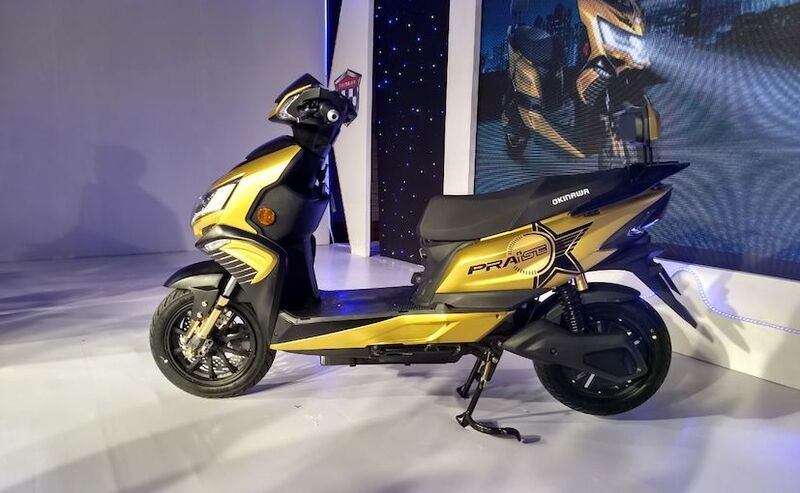 Ltd., a Bhiwadi, Rajasthan (headquartered at Gurugram, Haryana) based electric two wheeler manufacturing company has recently launched the Okinawa Praise Electric scooter. The company was established in 2015 with a mission to create two wheelers that can drive towards a sustainable greener future. 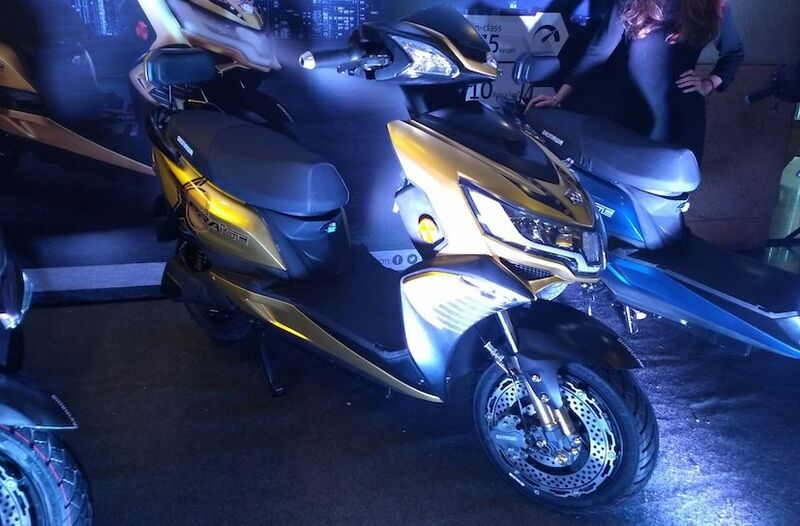 With its two wheelers, it aims at bringing pioneering technology and cutting edge designs to the Indian consumers. Here is all you wanted to know about Okinawa Electric Scooter. The Okinawa Praise Electric Scooter is priced at Rs. 59,889 (Ex-showroom Delhi). 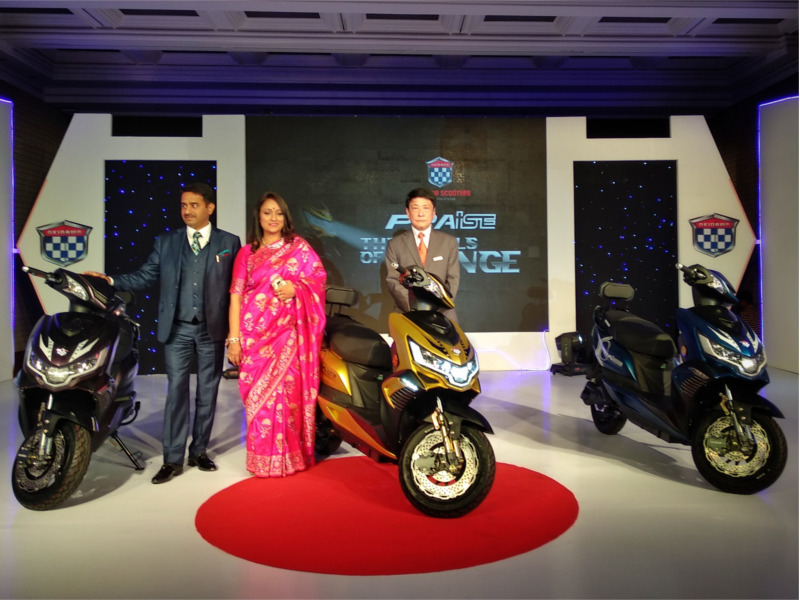 The e-scooter is available with easy financing scheme from HDFC bank. It can be booked by making a payment of just Rs. 2,000. The Ridge, the sibling of the Okinawa Praise electric scooter cost lower at 43,702. However, the Okinawa Praise electric scooter comes with many more attractive features as compared to the Ridge that justifies its premium price. It has a top speed of 75 kmph and a range of 170-200 kms on a single charge. You have seen the attractive images on this page. The Okinawa Praise electric scooter is powered by a 1000 Watt electric motor deliering 2500 watts of power or 3.34 Bhp and 40 Nm of peak torque. 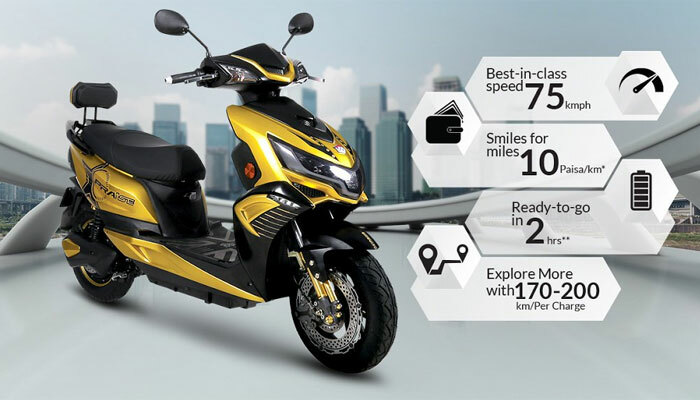 The scooter is equipped with efficient 72 Volt, 45 Ah lithium-ion fast charging battery which can drive the scooter within a range of 170 to 200km on a single charge. The e-scooter is available with three speed modes; Eco with top speed limited to 35 kmph, Sporty with 65 kmph and Turbo with 75 kmph. The braking systems come with twin disc at the front while the rear wheel has single disc brake. The seat height of the e-scooter is 774 mm, making it quite convenient to ride and get on & off. The front suspension is a telescopic fork while the real one is dual shock suspension. The e-scooter has 12 inch alloy wheels with 90/90 R12 tubeless tyres. The Okinawa Praise electric scooter is designed to give a sporty look. It gets a plastic body and attractive LED headlamp cluster. The e-scooter also has tail lights and indicators. It has also been designed to offer usable storage space with a glovebox upfront and 19.5 litre under seat storage space. Yes! You are right, to drive the e-scooter, you don’t need a driving license. However, you need to essentially wear the safety gear, a helmet as in case of other conventional two wheelers. The electric two wheeler market appears all set for a booming business when the government of India is driving the automakers to move towards electric mobility in the country. The consumers too are in a welcoming it with open arms as many housewives, students and youngsters in all the tier I, II & III cities are making a choice for cheaper mobility through electric two wheelers. Okinawa Autotech is certainly bound to make waves in the upcoming electric two wheeler market with its newly launched Okinawa Praise electric scooter.